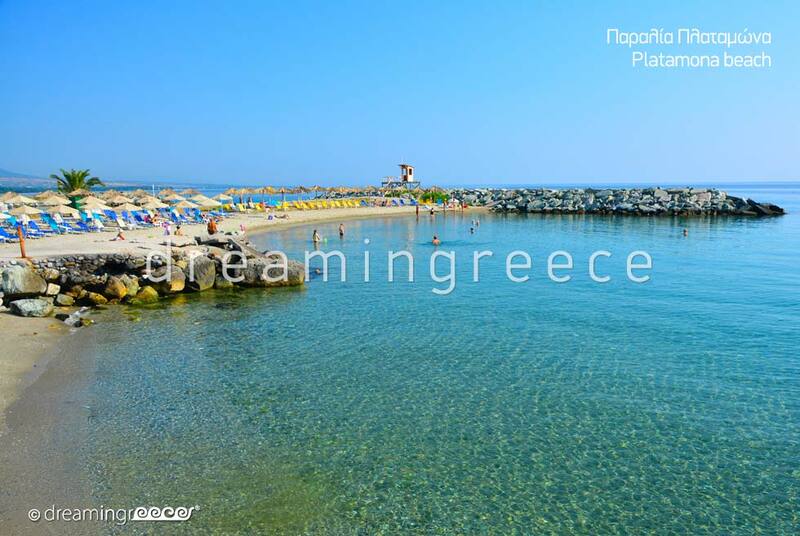 Platamonas belongs to Pieria prefecture; a prefecture which perfectly mixes both the beauty of the mountain and the sea. 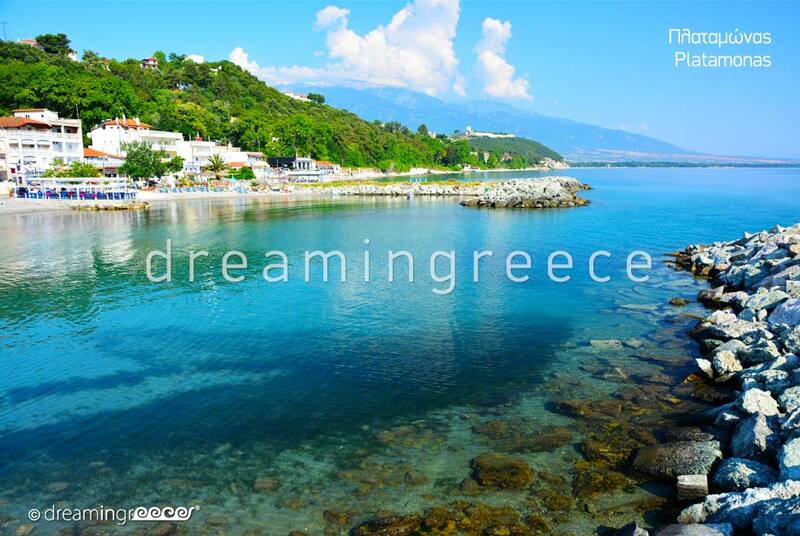 The combination of vast beaches with the despotic mountains with Mount Olympus prevailing impresses the visitor. A place blessed with great historical value and mythological interest as it was considered to be the seat of the Muses near the base of the Olympian Gods. Platamonas history is identified with its famous castle. The polygonal Platamonas Castle, the most impressive attraction of this area, has been standing there since the 10th century AD and is situated in the southeast of Mount Olympus. Its tower, which dominates from the highway, is the most impressive donjon of this Greek Castle. Especially in summer the Castle "revives" with concerts and several cultural events taking place during Olympus Festival. 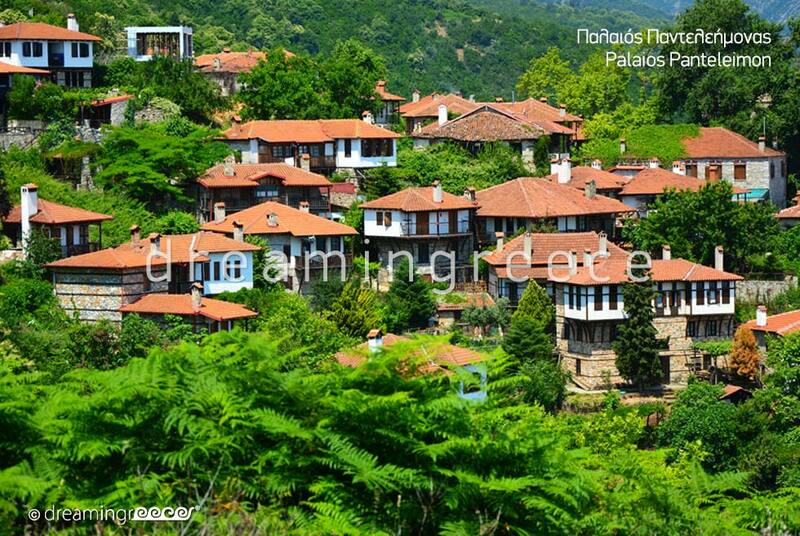 Visit the village of Neos Panteleimon and admire the beautiful view of the castle as well as the coast. 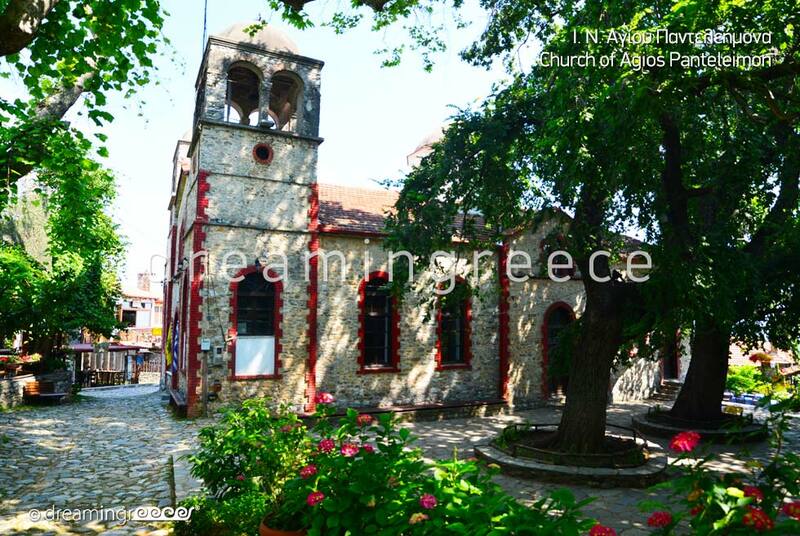 In the village central square enjoy local delicacies, raki or wine, coffee or handmade sweets under the shade of the tall trees. The area is ideal for those looking for a variety of choices. 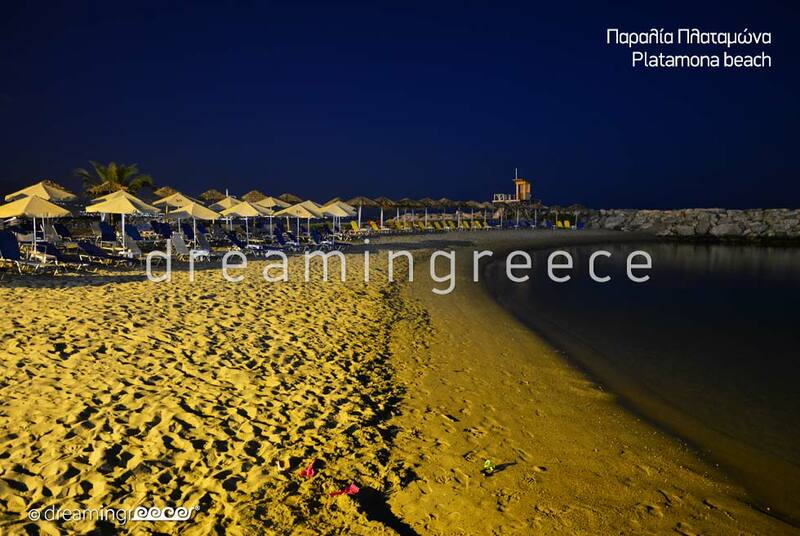 Sea or mountain; camping, apartments or luxury hotels; ski getaways, paragliding on the slopes of Mount Olympus or seaside trips; theatrical performances and concerts in historical places or parties by the riverbanks; relaxing family vacations or vivid nightlife; Platamonas and the surrounding area is certainly your choice! 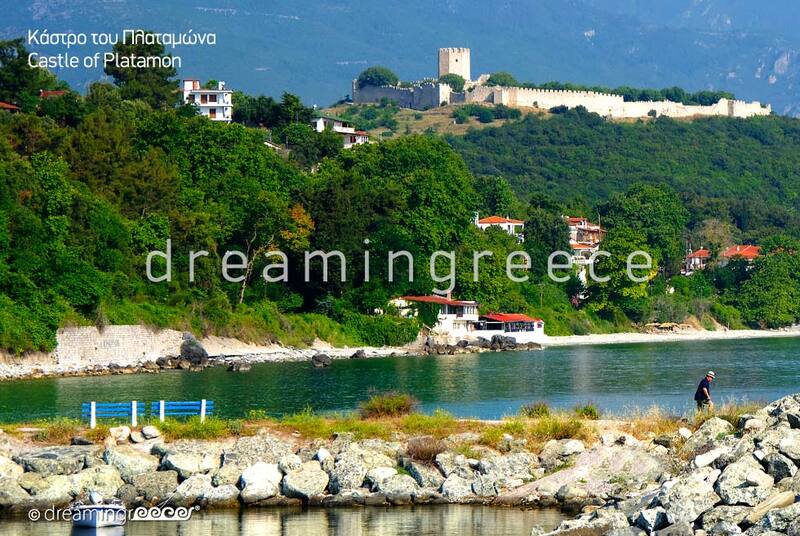 In an idyllic setting with the majestic Mount Olympus with its tall, sharp peaks on one side and the peaceful Aegean Sea with its clear waters on the other; where the shades of green and brown are mixed with those of blue and white, the visitor can enjoy the sandy with little pebbles beach of Platamonas under the imposing presence of the Venetian castle. 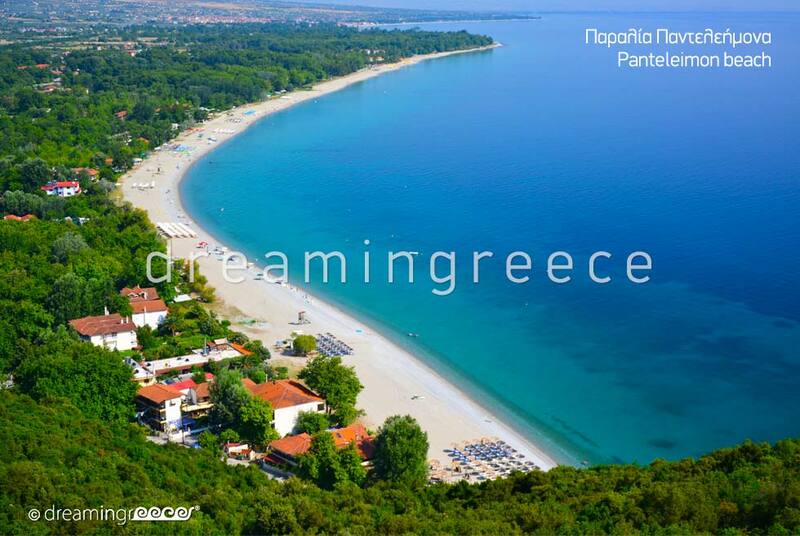 Do not forget to visit Variko beach, Gritsa beach, beach of Plaka in Litohoro, Leptokarias beach, Skotinas beach, Panteleimon beach and Neoi Pori beach. 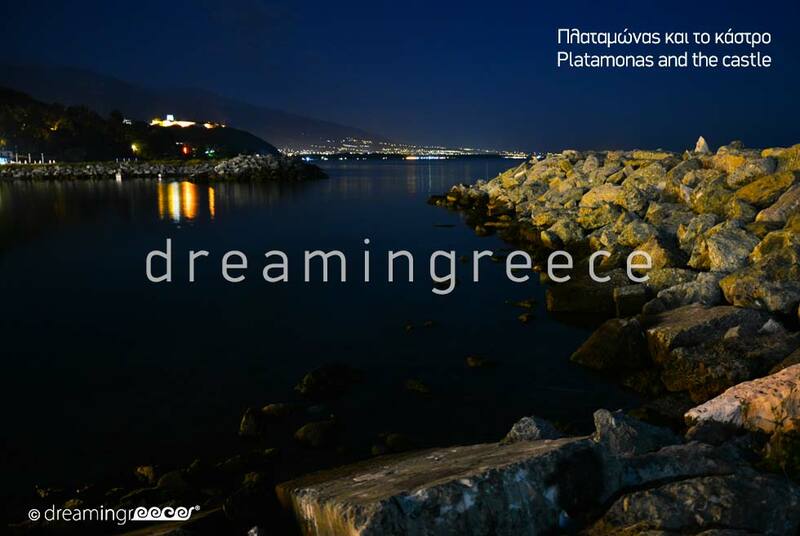 To reach Platamonas, you can drive from Athens (400 km distance - 4 hours ride) via the National Highway from Athens to Thessaloniki. After Larissa and once you cross the valley of Tempi, follow the sign to Platamonas. 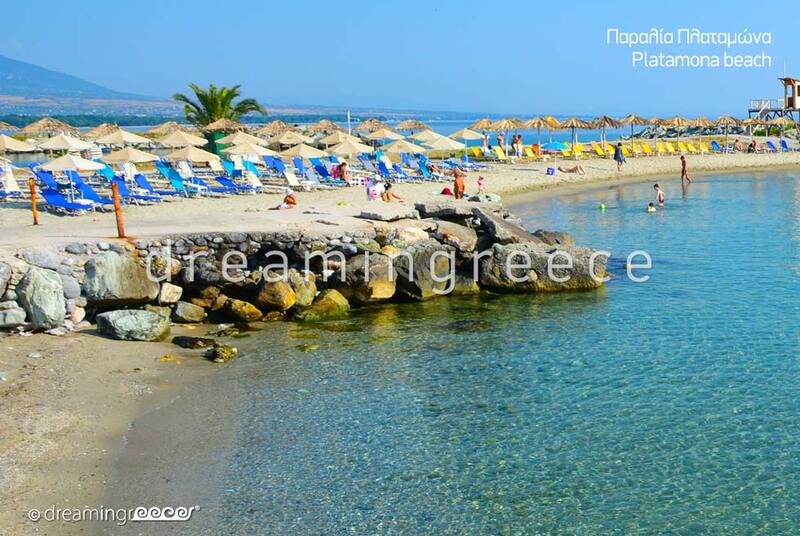 You can also reach Platamonas by taking the Intercity Bus to Aikaterini (KTEL Bus of Pieria) from the Intercity Bus Station of Liosia in Athens. At the city of Aikaterini there is a connecting bus route to Platamonas. For more information on the routes of KTEL Bus of Pieria click here. You can reach Platamonas by taking the Intercity Train of OSE (National Railway Organisation) heading either for the station of Neoi Poroi or for Aikaterini. At the city of Aikaterini there is a connecting bus route to Platamonas. For more information on the train schedules of OSE click here. 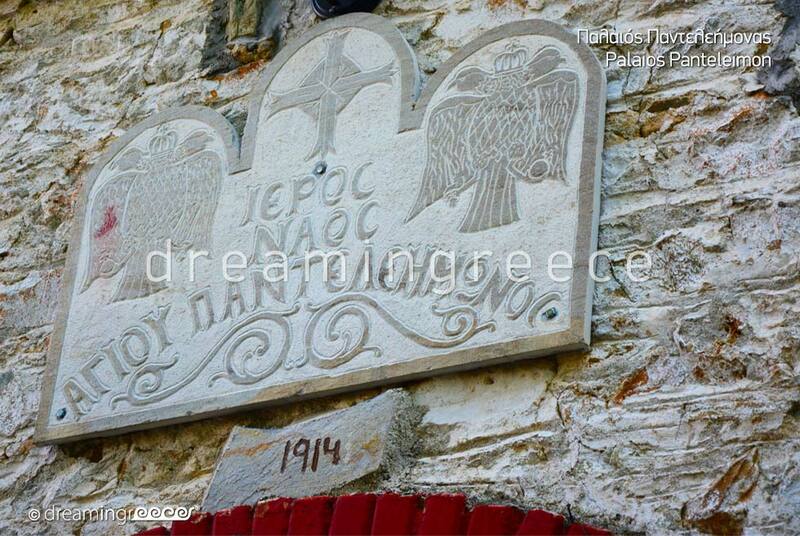 You can drive to Platamonas (104 km distance - 1 hour ride) via the National Highway from Thessaloniki to Lamia. Just after passing the town of Leptokaria, turn right following the sign to Platamonas. 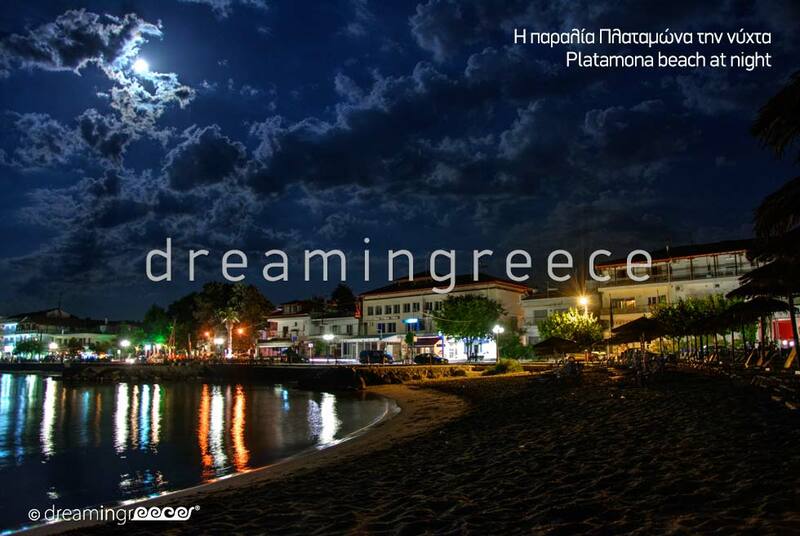 You can also reach Platamonas by taking the Intercity Bus (KTEL Bus of Pieria) from Macedonia Intercity Bus Station of Thessaloniki. At the city of Aikaterini there is a connecting bus route to Platamonas. You can also take the Intercity Train of OSE (National Railway Organisation) from Thessaloniki to the station of Neoi Poroi. The trip from Thessaloniki to Neoi Poroi is about 1 hour & 15 minutes long. The town of Platamonas is very easy to walk. For your transportation to the beaches or to the Castle of Platamonas or the village of Old Panteleimonas a means of transport is required.